nu:move are delighted to be marketing for sale this well presented, 3 Bedroom 1930'S Detached family home. The property is a beautiful example of 1930's construction and demonstrates the beautiful architectural design of the era with striking hipped roof features which serve to enhance the simple and elegant complete design of this residence. 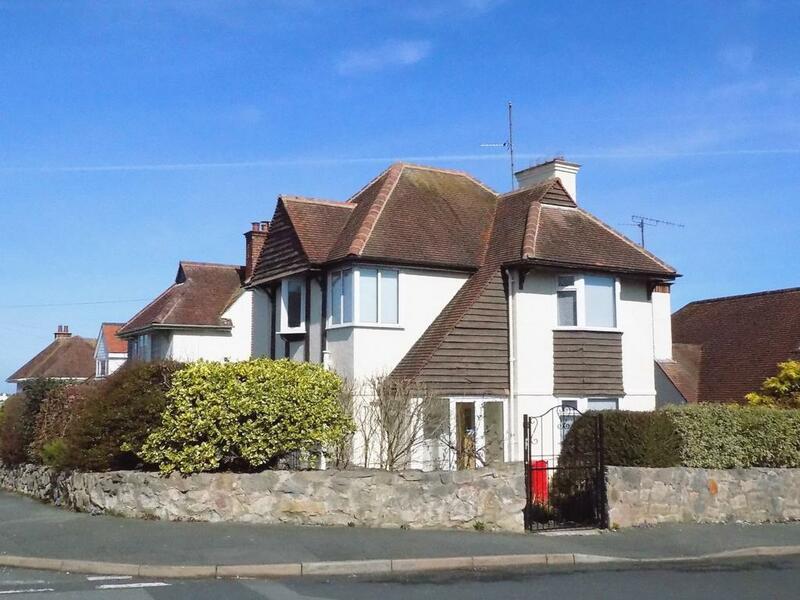 Positioned within a popular but quiet, well established residential location of Llandudno, the property is conveniently situated to take full advantage of all the local amenities that are situated within walking distance or a just a few minutes' drive. The property is located close to the heart of traditional Victorian town of Llandudno, home of the Great Orme, The Victorian Pier, Blue Flag Beaches with Beautiful Promenade, Venue Cymru Theatre, local leisure amenities also offer 18 hole links Golf Course, Tennis Courts, Leisure Centre, Shopping Retail Park, Bars and Restaurants. Local Primary and Secondary Schools are also very close by, including a number of private schools which are also within easy driving distance including St Davids Collage and Rydal Penrhos School. Llandudno offers good public transport links via numerous bus services and by train from Llandudno train station. Good access routes are available via the A55 expressway and A470 which provides easy access to Chester, Liverpool and beyond via the motorway network. This bright and airy 1930's, 3 Bedroom Detached family home, offers both well-maintained and well-presented living accommodation. Located on a generous corner plot, the property is approached via a wrought iron front gate which follows down the sweeping slate gravelled path to the entrance of the property. The current owner having sympathetically improved and updated the property, to include newly fitted carpets, and new bathroom suite with walk in shower, double glazed lead-lighted windows and due care and attention has been taken to retain the many original period features throughout this home to include: - the original wood paneled stained glass front door, dado/picture rails, paneled doors, original fireplaces and hearths which adds to the overall character and charm of this beautiful home. Benefiting from enclosed, front and side elevation garden areas which provides full privacy from its peaceful surroundings. Laid to lawn, the gardens are level and designed for low maintenance, made all the more private by the mature trees and well established greenery encompassing it. The bespoke, sliding wrought iron gate leads to the specialist, professionally designed and laid, high quality concrete private driveway which provides ample off road car parking spaces for several vehicles. The drive leads to the detached single garage with up and over door which provides ample storage and power points. To the rear of the property there is a courtyard area. The property briefly affords: Entrance porch, entrance hall, Lounge, Dining Room, kitchen and Cloakroom, to the first floor there are three bedrooms and a family bathroom. The property further benefits from UPVC double glazing and gas central heating. Externally there is ample sized, low maintenance front gardens. Single detached garage and Private Driveway offering off road parking for several vehicles.